Well I have been silent again for a while and that's due to all the bugs. Not the ones you find in the garden though but all those that are being harboured by everyone else and finally got the better of me!! It started last week with a cold and runny nose which was fine and then each day a new element cam over me...cough, razor blades in throat, blocked sinuses...well you get the picture but none the less I carried on getting everything done and turning up for work...then Friday I started to feel so much better and the weekend was nice and sunny and so I even went to the allotment and got some work done. I didn't spend long down the allotment just a couple of hours each Saturday and Sunday but this gave me time to cut back all the raspberry canes, get the strawberry bed weeded and forked over and looking nice, get the ground dug and prepared and the garlic finally in and get a load more manure spread and a lot more winter digging done. I only have one row of garlic in this year...it wasn't exactly planned that way it's just that's all I had. I won't get chance to purchase any more now but I may get some to put another plant another row next spring. I can't remember the name of the garlic I have planted but it is one of the common ones that's available in most shops that stock bulbs and seeds. So there I was feeling a lot better until Sunday night came....then I got bad again. A trip to the doctors on Monday diagnoses me with an acute sinus and chest infection and so 2 hours later I am nearly £40 lighter in my purse on prescriptions and ringing the boss to tell him that on doctors orders I won't be in for the week. Ever since then I have been meaning to sit and write a post but I just haven't had the energy. Today I am feeling a bit brighter in myself so I hope the antibiotics are doing there job and I won't have to go back to the docs. again. My son is also off college with a chest infection....sometimes I hate this time of year...and I don't do ill very well...I am a seriously bad patient as i like to keep occupied. I guess it's a good job I learnt to knit...something I can do that is practical but not strenuous! Okay...enough of my whinging...I am sure I'm not the only one that is ill. There is lots going about at the minute, I just hope that I can get rid of it and my immune system back up to top notch to stave anything else off. The one thing at the allotment I still haven't managed to get done is dig up the main crop potatoes. There are still two and a half rows in the ground. When listening to the farming programme though on Lincs. 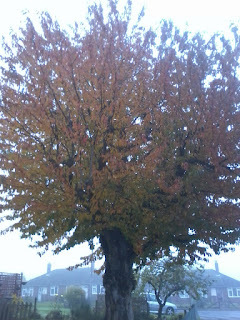 FM last Sunday I did hear that they can be overwintered in the ground. I guess this is a given considering every year whilst i am digging away to prepare for new crops to be planted I will find perfect potatoes that were overlooked the year before. Not something I would normally do but it does take a little of the pressure off me and also it would be a good experiments...maybe I will leave half a row in just to see?!?! Well I think that's the update done for now, I was going to take some photos to show you how far I had got but at this time of year the dark creeps up on you so fast. I then thought I may go out today but it's pouring with rain so I think I will give going out in my current state a miss! Will post some recipes over the week though as I have done some baking which is nice and relaxing...especially with my new stove! Beans are in...and a bit more too!! Well the weather played nice again for me today but with it being Sunday and us having our nice big Sunday dinner I never get so much time down the allotment, especially this time of year when the sun sets so early. Oh and dinner was great in the new cooker and I didn't burn anything which was a bonus...can't wait to bake some cakes in it!! Anyway I did toddle off to the plot about 2:30 after my dinner had settled to get stuck in preparing things a little more for the winter. I managed to get the rest of one half weeded over and the manure spread in preparation for the winter dig. Even on such a cold day that manure was mighty potent so I am hoping it is going to enrich the soil beautifully for next season. I also got the ground dug and raked and the broad beans in. I like to get them in this time of year as it saves up some time in the spring and any that may die off over the winter get replaced with some I start off in the greenhouse. I think I put about 80 seeds in the ground and now I pray that I get a good germination rate out of them. 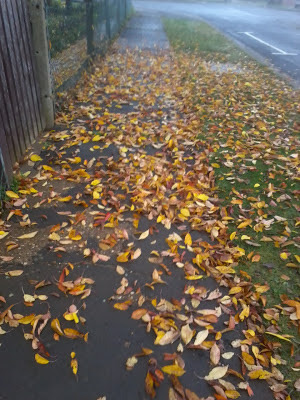 I have some extra seeds on standby for planting up next year if I need to. I also started to turn over some of the earth ready for the winter. This is a tedious task but I like the frost to be able to get in to kill off any nasty bugs and weeds that I may have missed. Still plenty to do but I feel like it has been a very good weekend and right now I am feeling pretty pleased with myself. Still haven't got the garlic in the ground but I am hoping for a few more good days so I will get a bit more time down the allotment this week. Sorry there aren't any photos today but it was way too dusky to take pictures by the time I left to come home. Hope you've all had a great weekend too! Well although it rained last night the skies had cleared by this morning and the air was calm and warm for November so I go myself down the allotment to get some much needed tidying done. I started off emptying out the pots round the greenhouse and weeding the cold-frame and lettuce bed before moving onto the main allotment. 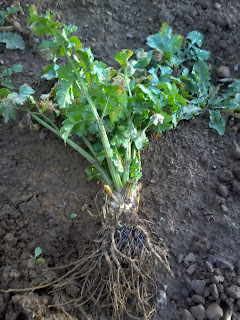 I then methodically weeded through the parsnips and celeriac and whilst I was at it thought I may as well dig up a root of each to see if anything was happening under the ground...this is what I found. I dug up a parsnip root and found quite a fine specimen. I held it up so you could see how big it was against my hand. 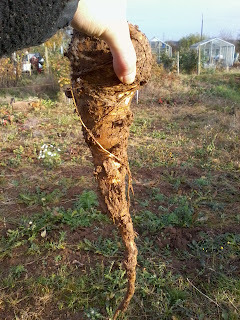 I think I will roast this root for dinner tomorrow. 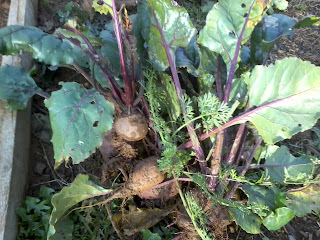 The celeriac on the other hand again has nothing under the ground. I dug up two of these, one that I had trimmed back and one that I hadn't but both were the same beneath the ground. I am wondering if leaving them longer will improve things? I guess I won't lose anything by it. So I think Mal is the winner of the celeriac this year...but there is always next year. I haven't given up on them yet!! 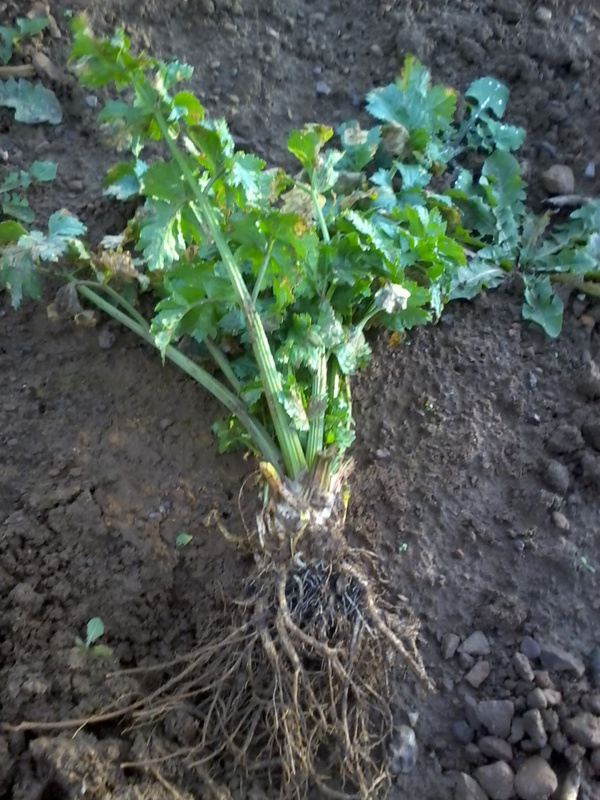 I then went on to weed the rest of the roots patch in preparation for the winter dig. Whilst going through I did find a few beetroot which were nice and healthy so brought them home to eother roast or make cake with, haven't decided which yet. 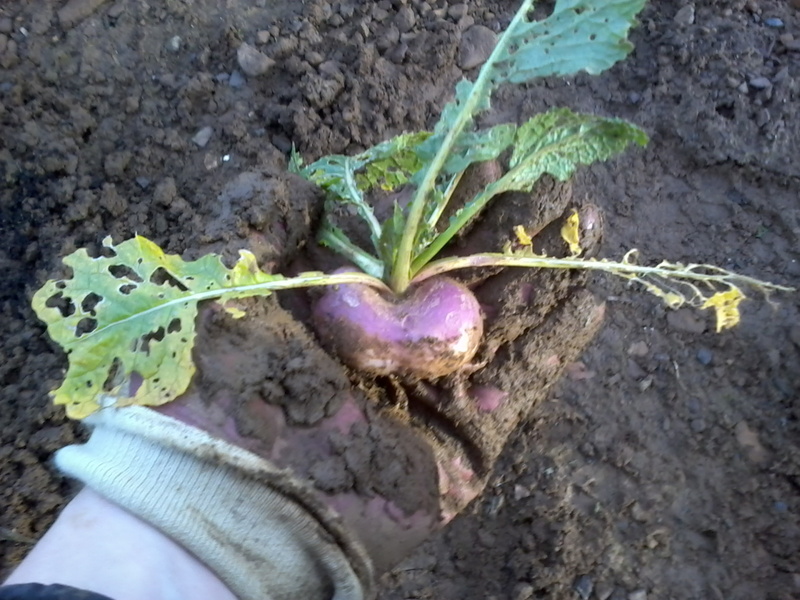 Healthy beetroot dug out the ground. 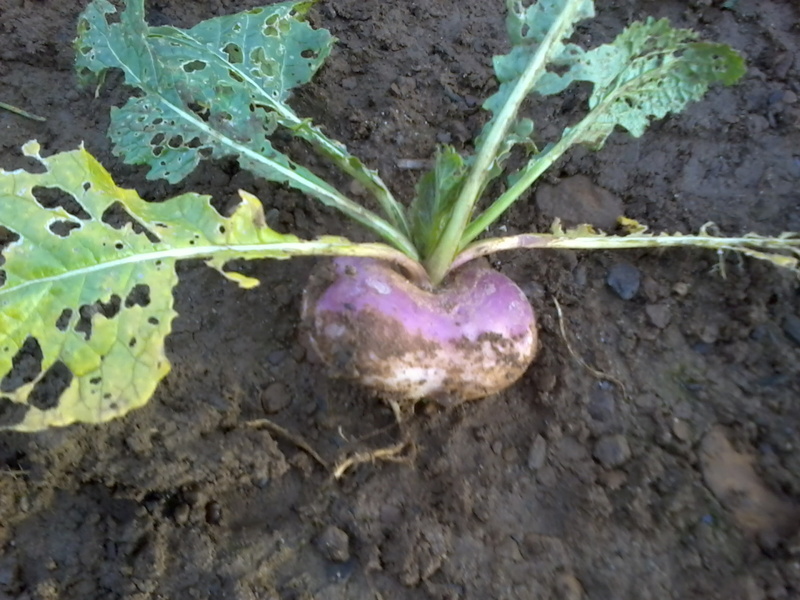 Quite a nice looking Turnip and apparently the only one to germinate...it looks mighty fine in this photo. In reality though it was extremely small as you can see in this photo. I think next year I will germinate them in the greenhouse and plant out in the hopes of a few more. No matter how small though it will be savoured in a stew during the week! I also had three carrot germinate on the allotment but when I dug these up they were roots mangled by slugs and went straight in the bin. There were some weird and wonderful shapes to them but I didn't get any photos!! So I now have a quarter of the land prepared for the winter dig and my green bin half full with weeds. This was the worst part of the allotment to tackle though which is why I decided to start here...I always like to know that the going is going to get a bit easier. Still haven't dug the rest of my potatoes up yet. Hopefully I will get that done tomorrow as so far the forecast is good. Also hoping to get those broad beans and garlic in the ground!! Hope you have had some fine weather too. Well it's an 'autumny' picture again although there aren't quite this many leaves on the trees now so I think it's the last I will be sharing with you. It's quite a nice photo but nothing compared to the seeing it with your own eyes!! Over the course of the week the weather has improved for us. The rains seem to have moved away and with them the bitter chill that was in the air so that we have had a week with temperatures mostly in double figures although the winds have still been quite sharp at times. Yesterday was really nice as was today and would have been perfect to get down the allotment but with needing to shop, attend the dentists, work, have the plumber and the gas-man in and then work again I just didn't get the chance. Although I did manage to find time on Wednesday afternoon to get the front lawns cut before I had to head out to work so that is one less job to do. I was hoping for the weather to last and get some good work done tomorrow but I have just been to put the cats out for the night and found that it is now raining...oh the joys of the coming winter!! On the plus side my new stove is all fitted so if I can't get to the allotment I think I will do some baking in my gloriously shiny new oven!! To be honest though I am hoping to get to the allotment. With everything else that has been going on I still haven't got my garlic and broad beans in the ground. Do you think I'm too late now?? I still have so much that I want to get done before I close down for the winter. Well I guess that's all for now..what are your plans for the weekend?? Hope you enjoy it no matter what they may be! Well I have had a wonderful crops of raspberries this year and so I decided that I would make some syrup for something a little different. It's a very easy method though you do need a thermometer for the temperature as with it being a syrup there is no 'set' test. The first thing you do is put your raspberries in a large pan/bowl. Give them a mash and then cover and leave to stand for 2-3 days. Strain the raspberries through a jelly bag or some muslin. Measure the amount of juice you have and for every pint of liquid measure 2lbs of sugar. Put sugar and juice in a pan and heat until sugar has dissolved, (just a few minutes). Remove pan from the heat and skim the scum off the top. Once you have removed the scum return the pan to the heat and bring back to the boil. Using a digital thermometer boil until you reach the temperature 105 degrees Celsius/222 degrees Fahrenheit. So there you have it. A very quick and tasty syrup. We have had it drizzled over ice-cream. Used it like a cordial, made milkshakes and also raspberry crush with it. If I get chance before it all disappears I may try some in cooking too! So I went up to the allotment yesterday morning. It started out a nice day as the sun rose over the horizon but by 8:30am it was pouring with rain. The rain kept easing and then coming down full force then stopping for a while and after a little 'umming and arghing' I decided to bite the bullet and get my but down to the plot. As was expected really it rained more than it didn't so I though I would get the greenhouse tidied out at least. Again the hole has appeared in the compost in the crate in the greenhouse. Mice?? Again in the tub where I had my bell peppers I noticed a little burrow hole so the critter that I thought wasn't there last time maybe is. At this time I also noticed a few sunflower casing on the floor. So the little devil has been scaling my greenhouse shelving and taking my sunflower seeds which were spread and drying on newspaper in the greenhouse. This has to stop and probably explains what kept happening to my cauliflower seedlings so I decided to get my boots on and take the whole tub outside to empty it out and have a good look. The little devil has nibbled my sock and turned it into a Sunday sock! Yep...it has definitely been in my boot too. Fortunately it wasn't too damaged and was still wearable...this of course is the point I dubiously look into my wellie...and what do you think I find?? That's right...it was full of sunflower seeds, the cheeky little devil had obviously decided to store some up in it's own little pantry for the winter to come. I removed them carefully but no mouse was inside so after putting on my second sock and boot I took the tub outside to start emptying it out. Whilst going slowly through the tub and carefully emptying it out I found plenty of tell-tale signs. Can you see all the empty sunflower seed casings? There were plenty of little burrow marks in the compost and as I slowly emptied out I found a lot of empty sunflower casings. Either my little visitor has been very busy or he's been inviting friends round for parties. Problem is I got to the VERY bottom of the tub and still no actual sign of the mouse...veryu confusing and also frustrating. I disposed of the compost in the compost bin and then checked the rest of the greenhouse. No signs of entry anywhere else...no signs of droppings at all. So what am I to believe. I have never known such a crafty critter. The only evidence is that in the photos aboe...even the paper and fleece were untouched. I am going to see about getting some humane traps but I don't hold old much hope of ever getting my hands on this devious little devil. Anyone got any tips that will help me catch him?? Or do you think it could be something else entirely?? I really am at a loss here. Cooker success and a funny story!! So I had someone come out yesterday to survey my present stove situation and also discuss fitting a new one. Turns out in all the years we've lived in our home anyone who put us a stove in has been totally against regulations so work has to be carried out in order for my new stove to be connected. Anyway the gas man who came is going to sort it all out for me, have the old stove and packaging from the new one taken away and for half the price of what i was going to be charged just for a standard install. So in a way i am actually saving money. Sigh on my part and very happy...the new stove will be re-delivered tomorrow and then I just have to arrange with the gas fitter when he can come....I am so excited!!!! Now on to something 'allotmenty', and a little bit funny.....and yet a little of annoyance at myself too. This is a pair of marrows I entered in the show back in September. Peculiar colour and I thought at the time it was supposed to be a pumpkin. They got auctioned off after the show, I didn't buy them or ask for them back as I had plenty of marrows to be eating. Anyway as i was doing some ground clearing over the last two weeks i found the heart of this plant and also it's label. You guessed it, this is not in fact a marrow or a pumpkin but my spaghetti squash that I planted. Of course the major annoyance is the mis-identification on my part and the fact that the plant only produced one more fruit so I only have the one to try...on the plus side though, at least I do have one to try. The funny side is, I wonder what the people opening those 'Marrows' thought? I haven't tried this yet but will hopefully be giving it a go in the next week now that I know it's not just a marrow I can think up something great to make. Have any of you ever grown spaghetti squash?? If so I would love to hear how you cooked yours. It's a cold and frosty morning...but I am hoping to keep warm getting some clearing done on the allotment today...fingers crossed!